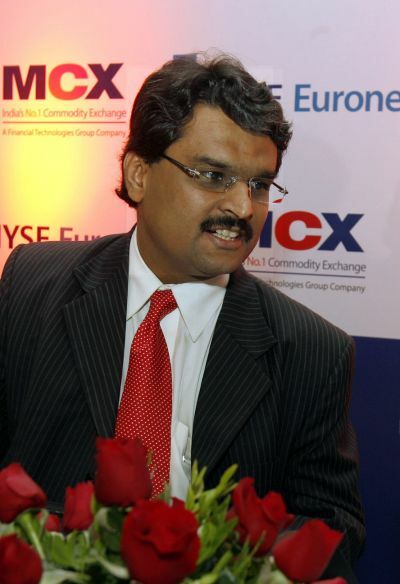 Rediff.com » Business » Is it the closing bell for Jignesh Shah? Is it the closing bell for Jignesh Shah? Picture abhi baki hai, mere dost, roared the 5-feet-4-inches tall, stocky man in a perfect suit made of the finest fabric available at Gabbana, a clothing store favoured by Mumbai's business elite. The listeners -- the speaker's employees and investors -- cheered loudly. "You ain't seen nothin' yet," they had just been told; what more could they have asked for? That was in October 2008. 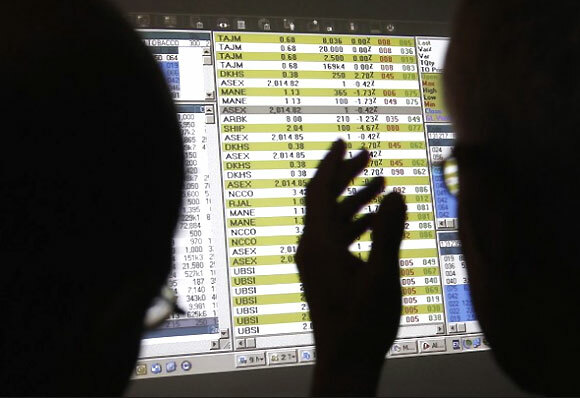 The line from Shah Rukh Khan's Om Shanti Om was on everybody's lips, and MCX-SX had just got the nod to launch currency futures trading, despite stiff opposition from some of the most influential names in India's exchange industry. 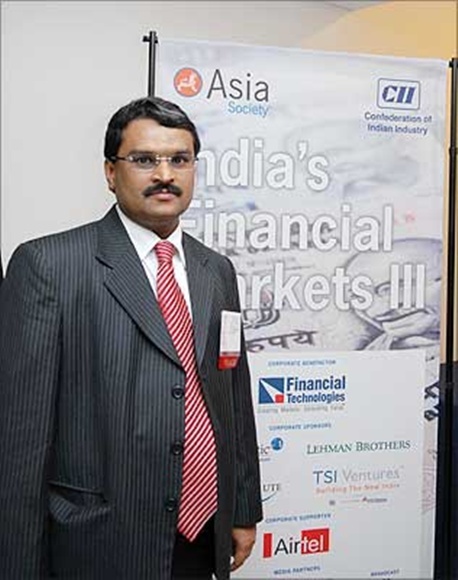 Apart from disclosing his fondness for Hindi films, the one-liner gave a glimpse of Financial Technologies promoter and Vice-Chairman Jignesh Prakash Shah's vaulting ambition. Already, he was the man with the Midas touch, somebody who built wealth for all at a speed India's markets had seldom seen -- he made a billion dollars in his first decade of business and built India's largest commodities exchange in half that duration. 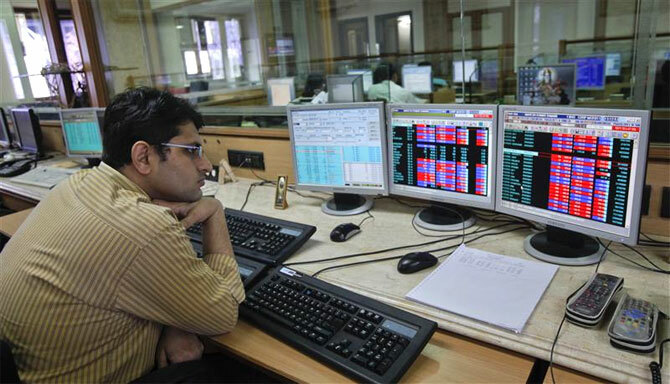 He had provided the technological platform for the National Stock Exchange and the Bombay Stock Exchange, and had floated the Multi-Commodity Exchange, MCX-SX and Dubai Gold & Commodity Exchange. (He would launch the Indian Energy Exchange, Singapore Mercantile Exchange, National Spot Exchange Ltd, Bourse Africa and Bahrain Financial Exchange in the years that followed). The world was at his feet: Shah was included in CLSA's Hall of Fame and was chosen by the World Economic Forum as a Young Global Leader. A photograph of him with Hillary and Bill Clinton found pride of place in his office (Hillary had presented him the US-India Business Leadership award in 2006). 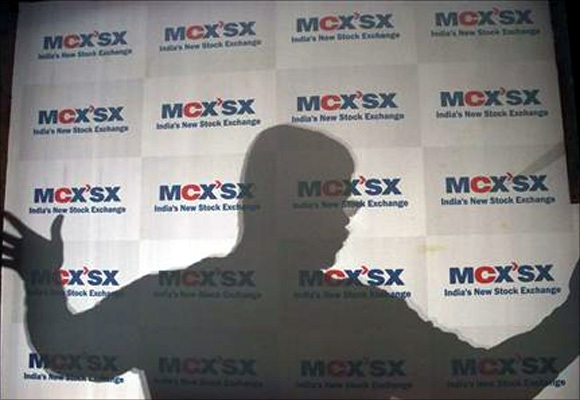 Image: A man moves an advertising poster bearing the MCX-SX logo at their Exchange Square building in Mumbai. The ‘picture; Shah referred to still runs, though after the NSEL twist in the tale (it faces a payment crisis of Rs 5,600 crore (Rs 56 billion), along with allegations of fraud and mismanagement), many would perhaps call it ‘the dirty picture’. 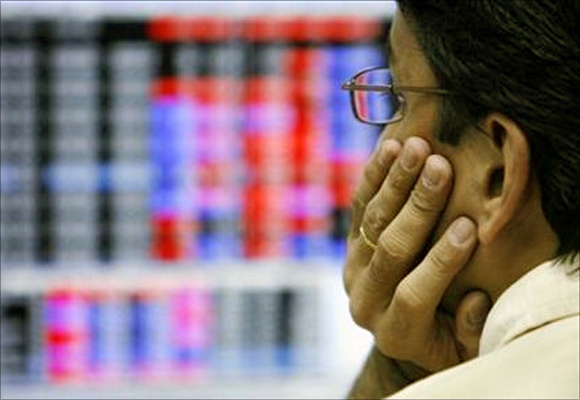 The talk of the town is that the 44-year-old, one-time poster boy of India's financial markets has lost the plot. Most of his friends have turned downright hostile. Less than two months ago, Shah had to sneak out from the backdoor at night when some 80 brokers trooped into FT Tower (which houses the FT offices) demanding their money blocked at NSEL. Since Shah, once visible everywhere, has restricted his public appearances (he cancelled his meeting with Business Standard twice) after the NSEL scam. Investors are now banking on the digital world to give vent to their fury. Ashish Seth, an investor, says: "Jignesh, you came to Juhu from Kandivali, but you are fit for jahannum (hell)." Shah, who spent his early years at Kandivali, a Mumbai suburb, now lives in a three-storied bungalow named R Square in upmarket Juhu. Some of his friends say Shah is shattered and spends most of his time with his very expensive lawyers to find a way out of the mess. Says a close friend: "His body language has completely changed, though he believes he has (unfairly) got the rough end of the stick. “He feels people want his blood now, but they forget the sweat he put in to make MCX what it is." The summons and look-out notices from Mumbai Police, the income-tax raids and the regulators' move to oust him from his empire on the grounds that he is not ‘fit and proper’ to run exchanges have clearly taken their toll. More than the money that he has lost (Shah and his family's wealth has crashed 94 per cent in three years; he holds 48 per cent stake in FT which owns 26 per cent of MCX), Shah's angst stems from the negative publicity and its impact on his carefully-cultivated image. What he is also perturbed about is the hurt it has caused to his father, Prakash Shah, a small-time iron, steel and chemicals trader from Gujarat. But it's unlikely that anyone outside his close circle of friends is prepared to concede that Shah is a victim of betrayal. The Kalpesh Shah affair is a classic example of that. Kalpesh, a small-time Mumbai stock broker, was in desperate need of money as some of his business bets had gone horribly wrong. When everyone else deserted him, Kalpesh knocked on the doors of a friend he knew would never turn him down. His trust wasn't misplaced: Shah arranged loans for him from his company, La Fin, and also made Kalpesh assistant vice-president in NSEL. The investigating agencies claim to have established a trail of transactions in the NSEL payment crisis, where part of the money put in by investors has gone back to La Fin. 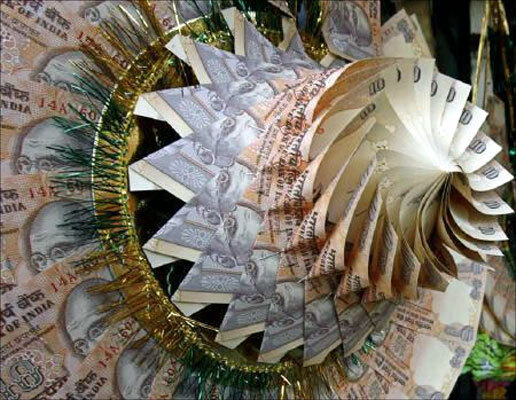 Kalpesh, it is claimed, had been repaying La Fin through money received from Mohan India, a Delhi-based client of NSEL, which has dues of Rs 600 crore (Rs 6 billion). Shah's people claim they didn't know about the source of funds. Last week, a dejected Shah was heard telling his colleagues that he made a mistake by helping out Kalpesh and that he would never trust anybody in his life again. Kalpesh isn't the only one in his ‘betrayers’ list. On top of the list is Anjani Sinha, once his Man Friday and the former managing director and CEO of NSEL, who claims he kept the entire board in the dark about his shady deals. Some FT insiders say this is indeed what happened: Shah has paid the price for giving full freedom to Sinha whom he trusted implicitly. But Shah's detractors say it's impossible to believe that he did not know what was going on, given the fact that he along with brother Manjay and Paras Ajmera, a relative, kept a close watch on almost everything. "Shah has been a control freak and wants to get into every small aspect of a plan," an ex-employee says, laughing off Shah's claim that his role has been that of a mentor to his CEOs. There is no doubt that Shah was his own man and took all major business decisions, even if it meant going against the advice of trusted men. 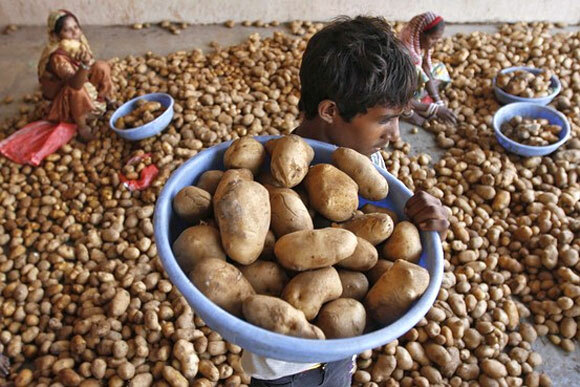 For example, in July 2007, income-tax raided Shah's offices in connection with a Rs 8-crore (Rs 80-million) tax liability on MCX. The exchange had challenged the order at the commissioner's level and won. 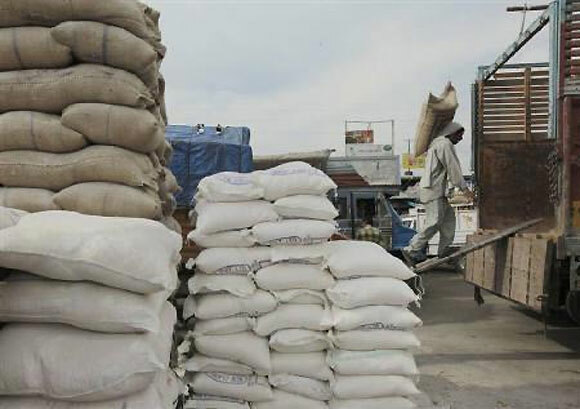 After the department went to the Income-Tax Appellate Tribunal, Shah's lawyers and officers were convinced that MCX had a watertight case, but Shah put his foot down and decided to pay up the money. People who matter haven't bought Shah's argument that he was betrayed by the men he trusted blindly; Shah is only too aware of it. That explains his frequent lament to confidants that it will take at least five years for him to regain his lost glory. His detractors, however, think it's more likely to take 50 years. "We have no faith in the group, and like other brokers, we have advised clients to remove their money from the other entities of the group," says Motilal Oswal Financial Services chief Motilal Oswal, one of Shah's friends-turned-fierce-critics. 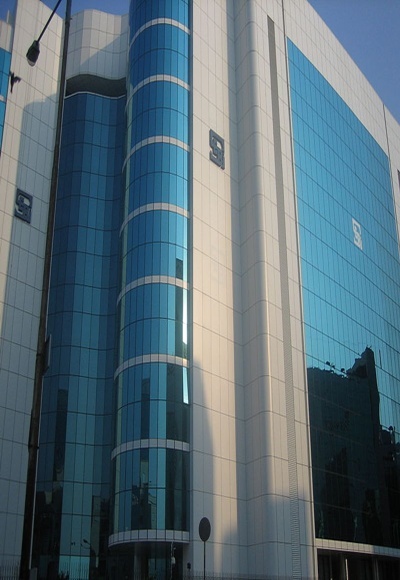 The hardening of Oswal's stand is significant as he had initially described the promoters of NSEL as ‘sound enough’ even after the payment crisis became public. Shah's partner and friend, Dewang Neralla, is, of course, more sympathetic: "I feel we should look at the postmortem and create key learnings so that these events do not recur in the future. When we look in hindsight, we always feel I could have done this way or that way. “At every stage, we learn and attempt to improvise as we mature at the organisation level". All this is a far cry from the days when Shah's go-getter image, humble origins and powerful friends made a heady cocktail. His rivals insisted that he was an unruly fighter who needed to be contained, but nobody was prepared to listen. Actually, nobody doubts the go-getter trait in the man, signs of which were visible early in life. As a seven-year-old second-grader, Shah made up his mind to marry Rupal, who used to study in a school just opposite his own Sardar Vallabhbhai Patel School, and he did marry her. His friends say that when Shah came third in an exam while he was in the third standard, his anger at having lost out took several days to subside; he came first in the next exam. "As a second-grader, when most of us couldn't think beyond the next tiffin break, Shah dreamt of becoming an engineer and setting up his business," a friend says. Shah achieved both: he studied engineering and then set up business with Neralla after raising Rs 500,000 by mortgaging his flat. Their first office was a 250-square-feet loft in Mumbai's Fort area. Eighteen years later, in 2008, he had stepped into the Forbes list of billionaires as the world's 1,014th richest man. He would go on to control more than a quarter of all assets (equity, equity derivatives, currency derivatives, commodities and interest rate futures) traded on exchanges in India -- not bad going for a man who, by his own admission, didn't know the difference between shares and debentures when he joined the Bombay Stock Exchange and spent long hours in the exchange's Seth Chunilal Library and the East India Cotton Association library to brush up his knowledge. Speed is a recurring theme in the story of Shah's life. He spelt it out in an interview to MoneyLife in 2006. IBM and FT had been shortlisted by ICICI Direct for a project. Shah requested Arvind Joshi, the CTO of ICICI Direct, to call both of them the next morning and whoever could execute an order from his system first should get the project. "IBM couldn't even connect to the exchange. “But our order went through and we got the first break. By 2001, virtually every big name became our client and we became the No 1 supplier," he had said. Shah always thought big, and he backed his ambition with a sharp mind. 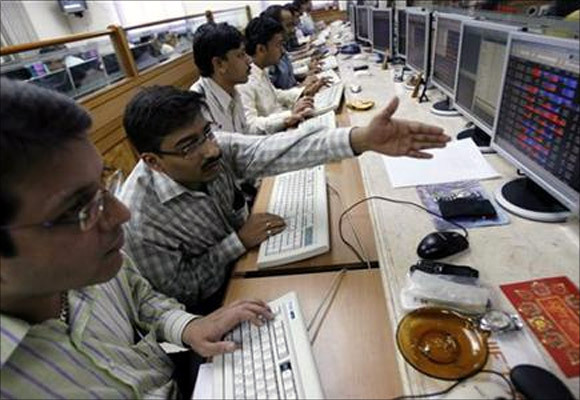 Thus, at a time when everyone was content with the outsourcing story, Shah bested bigger rivals such as TIBCO Software, IBM and TCS to become the biggest player in the market for online trading software because of his conviction that the real value for a technology company is not in selling licensed products but in linking the technology to every transaction that takes place through the product. Despite his success, the problem for Shah, the self-styled technology scientist, was that he was always considered to be the odd man out. Unlike his competitors, Shah had the permanent air of an outsider intent on crashing the party. Shah would say that the system is not friendly to first-generation businessmen and he had no option but to fight it out on all issues -- be it a case over a leased beach house in Mumbai because he believed the landlord got greedy after Shah splurged on refurbishing it, or fighting viciously with the National Stock Exchange or the Securities and Exchange Board of India to start his own securities exchange. Shah's detractors say they knew all along that Shah's penchant for speed to achieve his sky-high ambition would be his undoing, and Wednesday's ouster from the MCX-SX board is just the beginning of the end. The man himself has never made any secret of his ambition. In an earlier interview with Business Standard, Shah had said: "We are players in a high-speed, high-stakes game; we can't stop now." This time, the regulators and investors, of course, are waving the red flag vigorously. 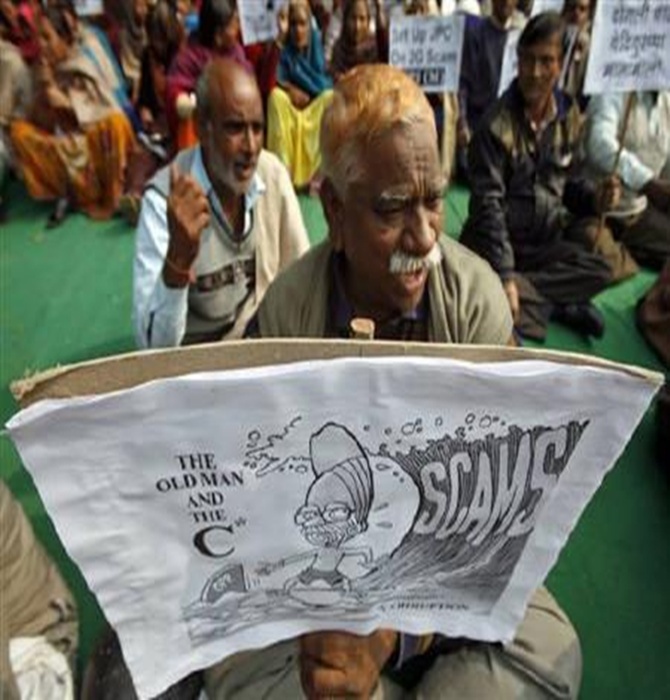 Image: Activists hold a cartoon placard during a protest in New Delhi.